Start the most important meal of the day with us. 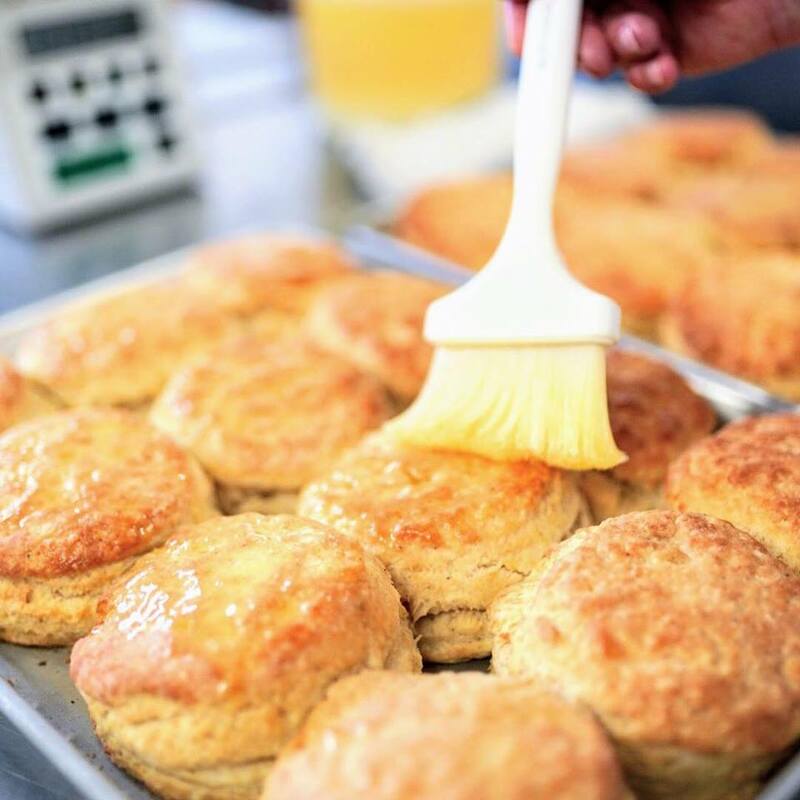 Serving down-home, southern made from scratch biscuits is our passion. We offer a wide array of breakfast biscuits and side. Of course, we offer the sweet stuff too. If you can't join us for breakfast, visit us for lunch served Monday - Saturday. We offer a little bit of everything from sandwiches to burgers. Our current exclusive coffee, Grelen Gold, is roasted in-house daily. Grelen Gold is a medium roast coffee exclusive to Scratch Biscuit. Located in the Historic Grandin Village we are excited to join a vibrant community of food options. Monday-Friday: 6 a.m. - 2 p.m.
from 7:30 a.m. - 12:30 p.m.
Brisket, country fried sausage, pulled pork, hash brown and cheese on a Scratch biscuit. 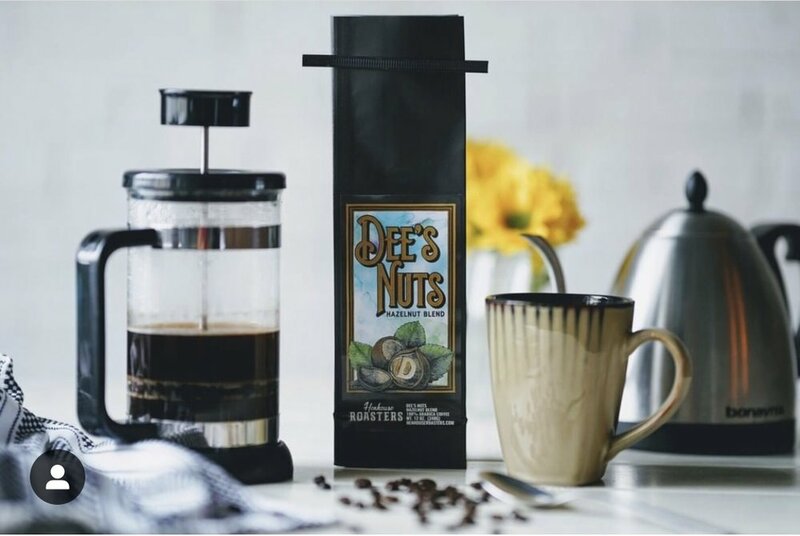 A flavorful Costa Rican medium-blend. Scrambled eggs and one Scratch Biscuit with your choice of one or two sides. Swap your biscuit for a bowl, burrito, or a gluten-free corn tortilla. Our hand-pattied, seasoned and beer-steamed burgers are pasture raised at Laurel Springs Farm in Marion, Virginia. Ask about bread options. All burgers come with a side of fresh potato chips. 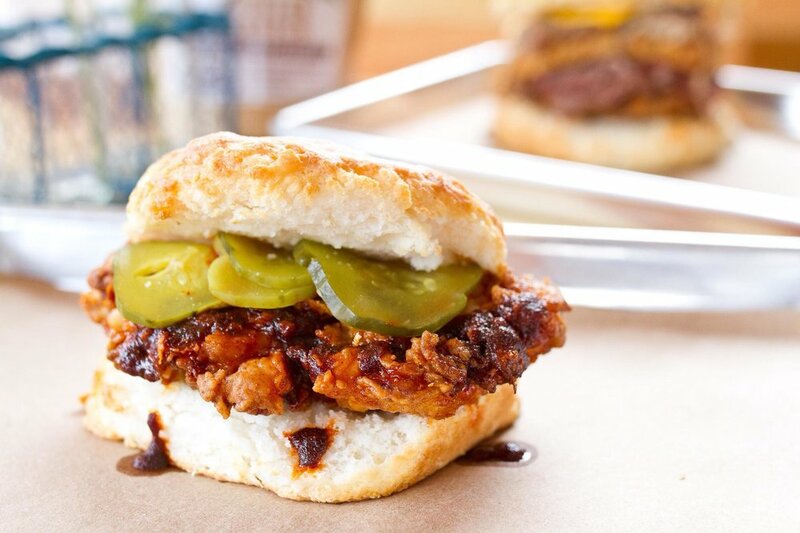 Delivery available for $3 (5 mile radius) from 7:30 a.m. - 12:30 p.m.